Children love magic. Make your child’s party special, a memory that will last a lifetime. 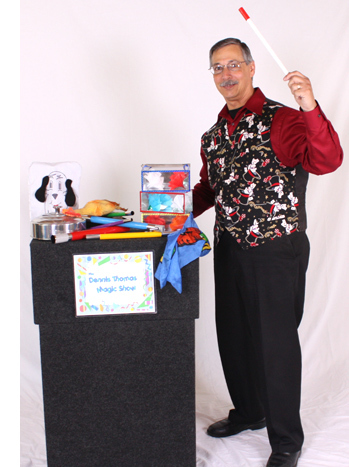 Dennis the Magician’s birthday party show is a high energy performance with lots of audience participation and interaction that makes the Birthday Child the Star of the show. Dennis’s show is self contained. He brings his own tables and props. All you supply is a minimum area of 6′ x6′ for the performance and of course the children. 30 minutes of fun filled magic. Includes everything in the Deluxe Magic Show PLUS Balloon animals. Every child receives their own balloon animal. The Birthday Child receives a special Birthday Hat Balloon.